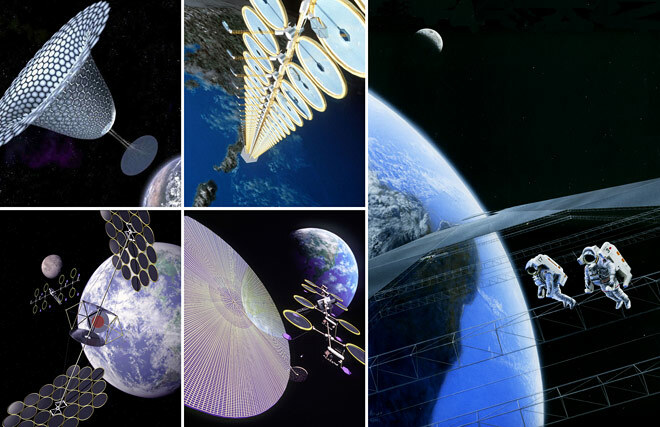 Space-based power is a potential multitrillion-dollar market. Can we make the launch systems investments to tap it? Energy policy is in the news again, with debates in Congress, statements from presidential andidates, consternation over U.S. dependence on the Middle East for oil, and a California recall election traceable in part to energy supply problems for that state. Use of energy, whether fuel for transportation, electrical energy running the Internet, or the destructive energy released in weapons, is central to our economy and security. It is with good reason that the technical term for energy use per unit time, “power,” suggests control in the human world as well. Three actions taken now — working to reserve radio spectrum for power transmission, focusing on reductions in costs for space launch, and investing in space solar power system research — hold the promise of opening up vast new sources of power within the next 10 to 15 years. Space is big. There is an awful lot of energy out there, and the crumbs we fight about here on Earth are laughably tiny in comparison. Zettawatts from the sun pass just through the region between Earth and the moon — that’s enough energy for each man, woman and child in the United States to power and sustain an entire U.S. economy all by themselves. Gathering power in space and transmitting it to Earth should not be a mystery to us in this 21st century. Communications satellites already do it routinely. One significant obstacle to power applications, however, is regulatory oversight. There is no spectrum allocated to power transmission, as there is for communications. Since frequency of operation has a significant impact on transmitter design, which may alter the design of the overall solar power system, the earlier we have a frequency allocation decision, the better. The Federal Communications Commission and the International Telecommunications Union should be prodded to start work on this issue now. The potential for power from space has been recognized for more than 30 years. Studies in the late 1970’s by NASA and the Department of Energy produced a reference design for solar power satellites using then-current technology that proved technically feasible, but expensive. NASA returned to the subject with an exploratory study from 1999 to 2001. A review by the National Research Council found the program to have a credible plan that required significant funding increases. Rather than strengthening the program, however, all funding for the space solar power group ceased after September 2001, and essentially no R&D work on power from space is now being clone in the United States. Worldwide more than a trillion dollars a year goes to the energy industry, and utilities routinely construct multibillion-dollar power plants. The energy industry has a bigger wallet than the entire U.S. federal discretionary budget. Money is not directly the problem here; profitability is. The two essential factors in the cost equation are the cost per delivered watt of the solar power components, and the cost per delivered watt of getting those components to their final destination in space. Current costs put the capital investment needed for a space solar power system well above the $2-per watt of competitive terrestrial options such as fission plants and wind turbines. R&D work is needed to bring these costs to where the vast energy resources of space are within reach of a large utility project. The cost of components is the first problem here. Current prices for solar electric power systems are about $2.50 per peak watt, a price that has been declining by about 7 percent per year for the last few decades. The day/night cycle, non-ideal sun angles, weathering, and cloud cover reduce power output enough to make the final cost per average watt $10 or more. Terrestrial solar power is still too expensive for wholesale utility use, but it is now competitive for homeowner installation in many areas. In space you can get peak power almost all the time. The $2.50-per-watt homeowner systems are not space-rated, but the space market is still small, with a larger market, suitable photovoltaic elements could be produced at comparable cost. Transmitting power from space will have somewhat higher losses than transmitting from a terrestrial power plant. Nevertheless, component costs are potentially much closer to wholesale utility requirements for space solar power than they are for terrestrial solar, and with continued improvement in prices, in another 10 to 15 years component costs should not be an obstacle to large-scale installation. The other cost of concern is delivery to orbit. Typical communications satellite solar panels have a mass per kilowatt of about 20 kilograms, so with current launch costs of $10,000 per kilogram, that comes to $200 per watt – 100 times too high to be competitive at the utility level. Bringing that number down requires both improvements in mass per kilowatt and cheaper access to space. Mass per kilowatt is sensitive to solar power system design. The NASA/DOE reference design came to 10 kilograms-per-kilowatt, but more recent studies of light-weight design options have suggested mass could be as low as one kilogram per kilowatt. Significantly more R&D effort to validate these designs and settle on a few cost-effective approaches would be extremely helpful here. The lower the mass requirement, the less we need to bring down launch costs to break the $2-per-watt barrier. Lower launch costs are a major goal of all space advocates. The X-Prize contenders, Space-X, even the major aerospace EEIV programs all have the intention of significantly reducing launch costs.Whether any rocket-based system will succeed remains to be seen. Perhaps we will have to wait for space elevators to see much reduction in the cost to orbit. But there are some indicators that we could see some improvement over the next decade with a sufficiently large and competitive launch market. Competition in the commercial launch market already has some providers such as Sea Launch offering $4,000- to $5,000 per-kilogram prices to low-Earth orbit. Use of solar electric propulsion allows higher orbits at only slightly higher cost. Given the multitrillion-dollar potential market for space-based power, increased funding for launch systems development to accelerate these improvements also would be a worthy investment. There is another way to reduce launch costs. In David Criswell’s Lunar Solar Power proposal, instead of launching the final components from Earth, manufacturing facilities are sent from Earth to the Moon to build the solar power system components there. And to save even further on launch costs, the solar components stay on the Moon and transmit power directly from there. The initial capital investment is higher than for an Earth-launched system primarily due to the much larger antennas needed to transmit power efficiently from the Moon to Earth, but overall costs per delivered watt should be much lower, and the costs for such an approach are less dependent on reducing launch costs from Earth. Component and launch will not be the only costs. For example we need to learn how to cost-effectively put together very large (kilometer-scale) objects in space. Improved robotics and computational capabilities should make this much less expensive now than was true for the 1970’s era designs, but it is another area where we need some experience to be confident in cost estimation. Further R&D in robotics also may be needed. Looking at the major cost areas again, for the wholesale utility market space solar power is currently about a factor of two too expensive with regard to cost of materials and components, and at least a factor of 10 on the launch cost side. Both cost barriers have realistic chances of being overcome in the next decade. The prospects for space-based solar power are at least as bright as for fusion power. These two options were identified as the only long-term sustainable energy sources in a report published inScience magazine in 2002. While space solar power has received essentially no government funding for two decades, fusion gets close to $1 billion per year. The ITER fusion project scheduled for completion in 2014 will cost $5 billion for a research reactor that produces only thermal power. 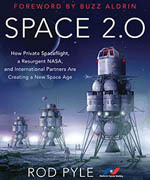 In contrast, a space solar power study by John Mankins presented at the 38th annual International Astronautical Federation conference found some systems with an estimated cost of $6 billion to $8 billion, producing 250 megawatts of electricity available for commercial sale, readily expandable to several gigawatts, and offering a profitable return on investment. With some further research those numbers can likely be improved upon, but the funding has been terminated rather than increased. We already have an immense fusion reactor working for us in our solar system, ultimately responsible for almost all our energy choices. All we really need to do is make better use of it by tapping into it more directly. 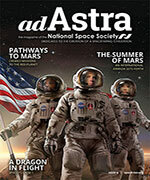 Any rational energy policy for the United States must support the steps needed to make that happen: increased investment in reducing launch costs, reserving radio frequency spectrum for power transmission, and moving toward an investment of $1 billion per year for a robust and diverse research and development program for space solar power. Arthur P. Smith, Ph.D., works for the American Physical Society and is the president of the Long Island Space Society.